Towards the Last Spike. A verse-panorama of the struggle to build the first Canadian transcontinental from the time of the proposed Terms of Union with British Columbia (1870) to the hammering of the Last Spike in the Eagle Pass (1885). 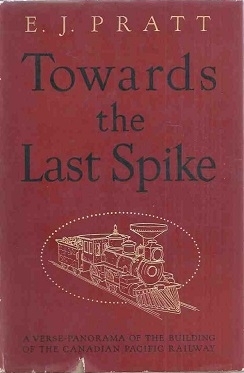 Title: Towards the Last Spike. A verse-panorama of the struggle to build the first Canadian transcontinental from the time of the proposed Terms of Union with British Columbia (1870) to the hammering of the Last Spike in the Eagle Pass (1885). Epub 20160314.epub If you cannot open a .mobi file on your mobile device, please use .epub with an appropriate eReader. Mobi/Kindle 20160314.mobi Not all Kindles or Kindle apps open all .mobi files.